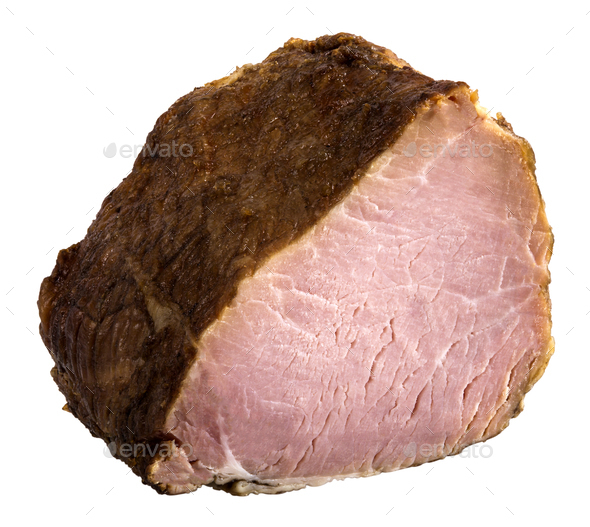 Appetizing piece of smoked meat. The image is a cut out, isolated on a white background, with a clipping path. The image is in full focus, front to back.